Adrian was one of the first specialists in Palliative Medicine and has a national role at Marie Curie, national end of life charity. Palliative Care Physician and Medical Director of the Marie Curie Hospice in Hampstead, Dr Adrian Tookman has been awarded an honorary degree at our graduation ceremony on 12 July. Adrian was one of the ‘first wave specialists’ in the field of Palliative Medicine when it was recognised by the Royal College of Physicians as a speciality in 1985. Doctor Tookman also has a national role as Clinical Director of Marie Curie, a national end of life charity. Doctor Tookman was delighted to be awarded the honorary degree. “I have a busy clinical practice and regularly teach nationally and locally. I enjoy clinical work because I continually learn from my patients and their families. This enables me to share this learning with students who come to the Hospice from Middlesex University. Doctor Tookman is also the Lead Field Editor for the pain, palliative and supportive care group as part of the Cochrane systematic research review group. He has led clinical innovations that include developing a large outpatient service in a day therapy unit in the Hospice with both medical and nurse led clinics. The hospice includes a nationally recognised evidence-based rehabilitation and survivorship service for people who are living with cancer and also for those with advanced progressive non-cancer conditions. He has authored over 100 publications. Professor Tim Blackman, Vice-Chancellor of Middlesex University, believes it's important to recognise the achievements of hardworking individuals like Dr Tookman. 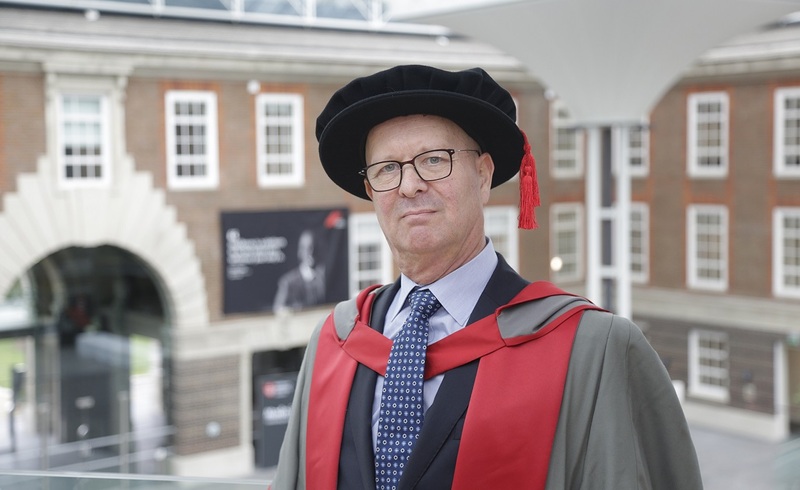 “By awarding an honorary degree to outstanding people such as Dr Adrian Tookman the University is recognising achievement at the highest level as well as dedication to public duty and making a difference to others’ lives.